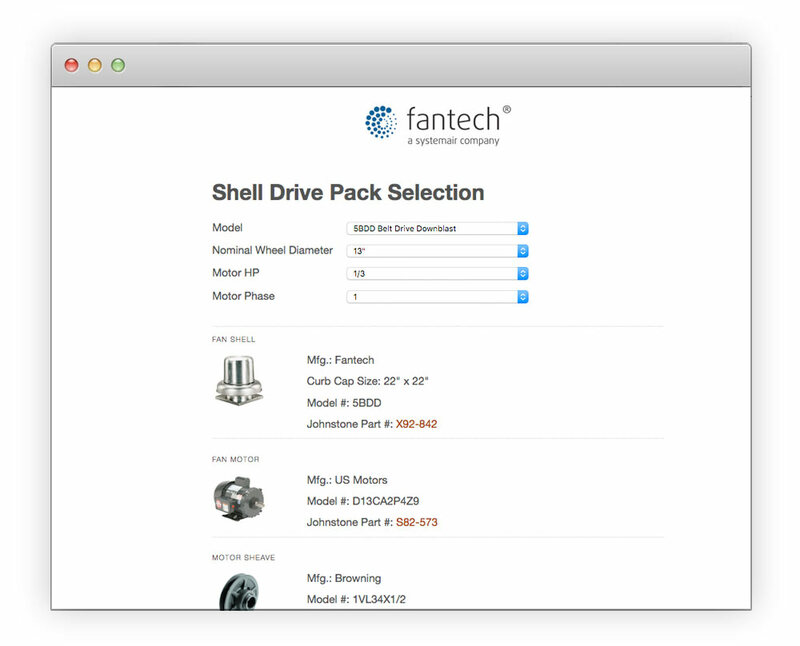 Johnstone Supply needed a way for their users to find parts based off attributes of a shell drive. I created a small web application using PHP and MySQL that allowed the user to select attributes, which returned all applicable parts to their query. This tool is currently being used on the Johnstone website.